When it comes to plumbing pipe leaks, a slow drip may not seem like a big deal, but according to USGS, a faucet that drips once per minute, drips 1,440 times her day. That amounts to 34 gallons per year. Now, if that slow drip were inside your walls, that’s 34 gallons of water per year deposited behind your drywall, or just over half a gallon a week. Over time, this can lead to the growth of mold and mildew and structural damage that could decrease the value of your property. 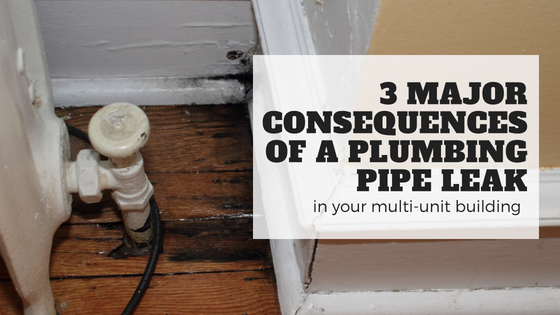 The first thing that is going to happen when you have a slow pipe leak is the growth of mold and fungus. This is especially harmful when you consider that black mold is toxic. For individuals that are sensitive to the presence of mold in an indoor environment or already have breathing difficulties, they may start to feel increasingly sick with nasal congestion, throat and eye irritation and coughing. For individuals who are extremely sensitive to mold, they may also have skin irritation. When it comes to removing black mold and fungus from a building, special precautions must be taken. This typically means hiring a mold remediation company that has the appropriate personal protective equipment, including respiration masks, and specialized tools and equipment in order to remove every mold spore from the infested area. The company may even quarantine the infested area with plastic while the affected finishes and components are being removed and the mold is being killed with powerful cleaners. After all the damaged sections have been removed, they may leave HEPA filter air purifiers in the area to finish removing the mold spores from the air. Once the area tests clear for mold, you will have to hire another contractor to restore the structural integrity of the area and replace drywall and finishes. As the water builds up inside your walls from the plumbing pipe leak, it can lead to rotting of the structural components, including wooden support beams, flooring and joists, and your drywall will start to swell and warp with the water infiltration. If the leak is on an upper floor, the damage can slowly trickle its way down the wall, leading to damage on multiple floors and the need for expensive repairs in the form of new support beams, floor joists and drywall. As word gets out about the mold and structural damage occurring in your building, it can decrease your multi-unit residential property’s value. Current tenants may choose to move out of your Chicago multi-unit residential building, and you may have trouble attracting new tenants if they hear about the water damage. Your apartment complex, condo or co-op may even get a reputation for having sick building syndrome, especially if mold spores start to infiltrate your HVAC system and air ducts. When it comes to maintaining the health of your building and occupants and preventing mold contamination and structural damage, one of the best things you can do as a property owner is to take steps to prevent plumbing pipe leaks. One of those steps may involve deciding to line your pipes with an epoxy coating or liner. Epoxy coatings and liners are designed to stop current leaks and prevent further plumbing pipe corrosion that can lead to additional leaks. The process of installing an epoxy coating or liner is completely trenchless, meaning that holes do not have to be cut in ceilings, walls or floors. Instead, existing access points are used to connect the lining equipment. This means that lining your existing plumbing pipes is less intrusive and often faster than traditionally replacing your plumbing pipes. 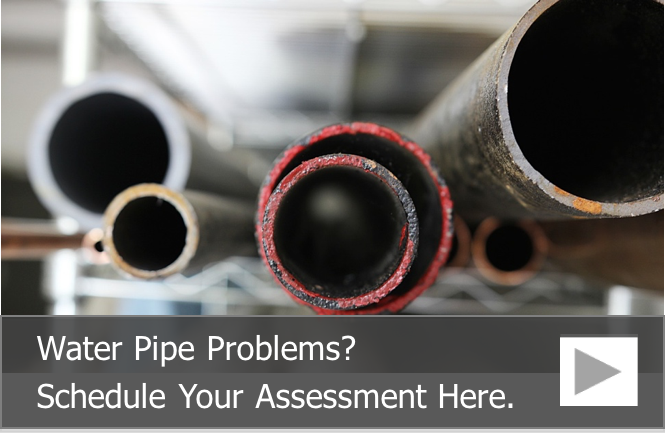 To learn more about our Chicago epoxy pipe lining services for multi-unit residential buildings and to request an estimate or building pipe assessment, call us at 815-790-9000.